This one‐day workshop offers ways to modify YogaFit classes to make them accessible to individuals over the age of 55, regardless of their fitness levels. You may take this workshop at any time that fits with your schedule. Level One training is reccomended before taking this training. 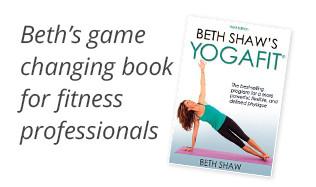 None, although this workshop is specifically designed for experienced yoga instructors. YogaFit Level One Training Module is highly recommended.